London’s Calling took place over the weekend and I managed to take part in precisely nothing except the drinking. I excelled at that though. Oh, actually I did do a checkpoint on Friday night… but obviously that meant sitting around with a beer in my hand anyway. 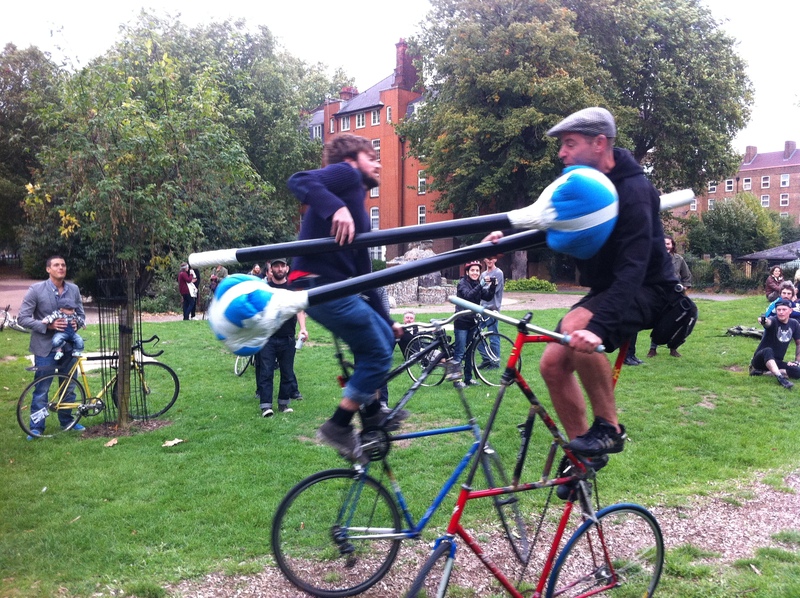 I went down to the tall bike jousting in London Fields to have a look at people chasing each other around on tall bikes and thrusting flaming torches in each other’s faces. Funniest of all was watching Farid try for about half an hour to even get on the bike with everyone heckling him… Don’t know why I was laughing; I’m pretty damn sure I would have fallen straight off! I love that the jousting isn’t on concrete! 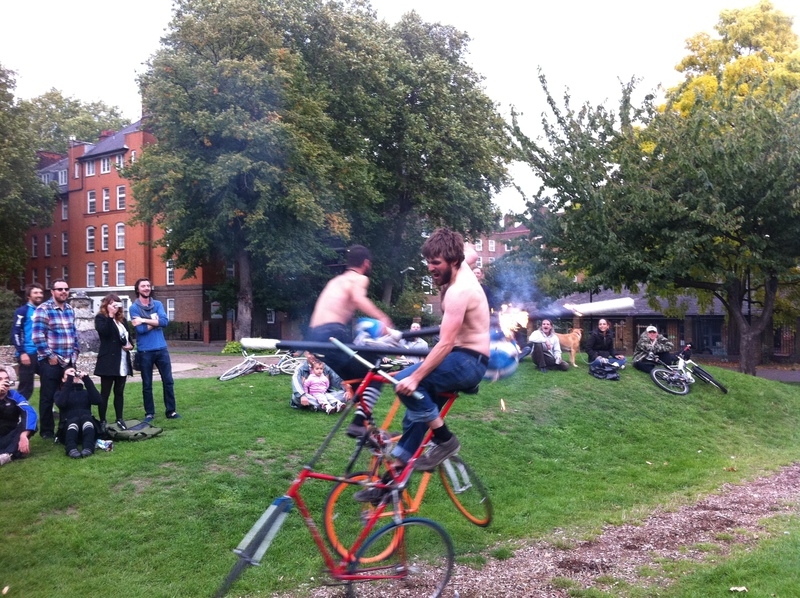 Our jousting bikes are so decrepit that they wouldn’t even roll in the grass! yeah i thought it was probably for the best that it was on grass for a softer landing!